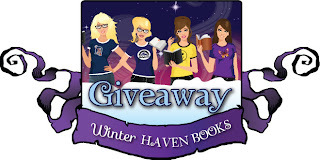 WinterHaven Books: Slammed & Point of Retreat by Colleen Hoover Optioned for a Movie!! Slammed & Point of Retreat by Colleen Hoover Optioned for a Movie!! 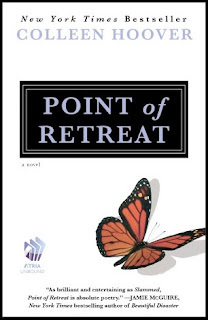 Well it’s a happy week for Will and Lake fans because we recently found out that Slammed and Point of Retreat have been optioned for a movie. How awesome is that??!! If you’ve had the pleasure of reading these great books, you’ll probably agree with me that seeing the stories come to life on the big screen will be pure bliss! If you haven’t read them yet, Atria Books is having a sale on the eBooks in celebration for the film rights being optioned. You can get them for only $3.99!! So grab them now before it’s too late! To celebrate this fantastic book news, WinterHaven Books had the opportunity to interview Colleen Hoover about the movie option, her reaction, and all sorts of other cool stuff. Check it out!! First off, congratulations on your movie deal! We are so excited to see Slammed come to life! So give us fans a blow by blow recount of your reaction when you got the news? Where were you and what went through your head? My agent actually called when I was on my way to the airport to visit some author friends in Minnesota. I had to pull over I was so excited. That was weeks ago and I've had to keep it all in until it was ready to be announced. What scene from the book are you most looking forward to seeing on the big screen? Oh, the hallway scene when they find out the first big secret. And of course the slams! They would be awesome to be seen live. If you had your choice, who would you cast as Lake and Will? Oh, I have NO CLUE! People keep asking. I have a huge crush on Diego Boneta and I think Jane Levy is adorable, but I don't know how I'd feel about them together. Will Slammed and Point of Retreat be combined as one film, or is it a two film deal? I'm not sure. I think they would try for one screenplay, but it's far off before that happens. Oh, not at all. Film options are just the first of many, many steps. It's a long process and there are a lot steps that sometimes never get completed. But the fact that we took the first big step is huge! Oh, heck no. I would ruin the film! Any favorite music choices for your soundtrack? I think that's obvious. It would be so cool if they could line up the songs before each chapter. I have NO CLUE! lol. I've got three in the works right now. I wish I was the type of author who could just sit and finish one for the sake of deadlines, but it's more about what I'm "feeling" at the time. Well thank you Colleen Hoover for being the awesome author that you are and graciously answering our questions!! Now for more exciting news!! 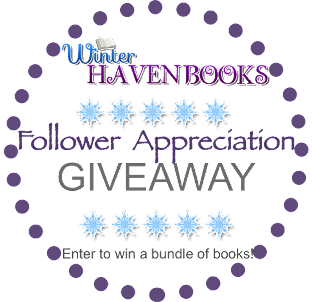 Colleen Hoover has graciously offered to send one lucky WinterHaven follower a SIGNED copy of Slammed! 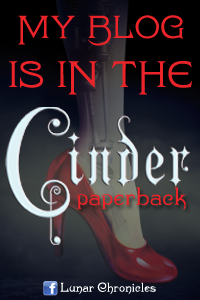 Be sure to fill out the rafflecopter link below and share your thoughts on this fabulous author, the books or the movie option! Thanks for the giveaway. Greetings from northern Europe! LOL! I like the way you put it! Having these characters come to life will be so exciting! Congratulations on the movie deal! I bet it was hard not telling anyone about your movie deal for those weeks! :) Thanks for the giveaway. I can't imagine having to keep a secret so huge like that secret for so long! TORTURE!! So excited for this though. Thanks for stopping by Temara! I am so excited about this news! 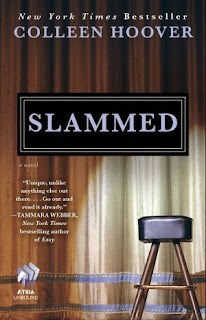 I loved Slammed and Point of Retreat back when I read them in May! Can't wait for them to hit the big screen :D Thanks for the giveaway! Congratulations on the movie deal! Thanks for stopping by roro! Good luck on the giveaway! Thanks for entering the giveaway! Good luck Trisha! While I was reading this book, I was picturing it as a movie. I really hope this gets made into a movie!!! I want to see "The Lake" poem live. Oh I hope it comes to fruition too! Seeing this movie come to life will be awesome!! Oh The Lake poem was my favorite too! "So keep your ocean. I’ll take the Lake..." Loved that!!! Totally amazing that it has been optioned. I have heard only great things about this book! Congrats! Me too! I'm crossing my fingers!! Definitely great new Jolene. I was excited to hear about this too! I hope you get to read the books soon. They are soo good Kristia! I just finished both books within the last 3 days, and I am so excited to know they will be made into a movie. I can't wait. I absolutely, butterflying loved them!! Congrats!!! That is awesome. I love Slammed. Thanks for the giveaway. Yes, Colleen was gracious enough to offer the giveaway. She rocks!! I love these two books. I love them too! So good! After a lot of Good reccomendations i read and felt in loe with it so much. A part of me is happy for the movie news but another one is kinda doubful about it.. I really hope they get it rigth too Rachel. Thank you! LOL! FIVE times??!! That's pure awesome!! Lol, thanks Arlene! Authors never come to where I live and that I would never get this chance...so, thanks again for this precious chance! I totally agree with Colleen that I would be most excited to see the hallway scene and the slams! They better cast someone who can convey Will's emotions in those slams! Good luck with the giveaway Kelly!! I hope you read it soon Jillyn. I love this book!! You're welcome and good luck! First of all, CONGRATS! This is such a big deal, I'm excited! I haven't read Slammed yet, but now I look forward to it even more! You're in for a treat when you read it Jessica. Great book!! Congrats, this will make a great movie! These books, were BEYOND amazing! Literally read them both, yesterday. I couldn't stop. I cried, laughed and just... OHMYGOSH! I really hope they do the books justice, if it turns into a movie. Such great great books.